Conveniently Located in Forest Hills N.Y.
What is the Shtar Tena’im (Document of Conditions)? It’s a document where the agreements that the two parties discussed at the time of engagement become formalized. A Get is the Jewish divorce document that must, according to Jewish law, be presented by a husband to his wife to begin the divorce. Why is a Get important? 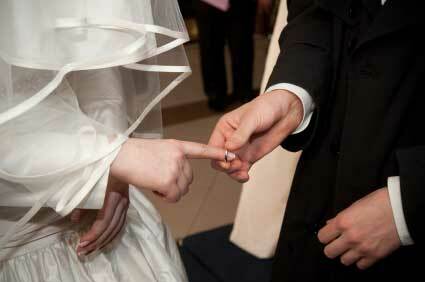 In order to end a Jewish marriage, Jewish law requires a Get. Without it, both husband and wife are not allowed to remarry under Jewish law. Obtaining a get will also insure that the children of the couple receiving the divorce won’t be limited in who they are able to marry within the larger Jewish community. It is a certificate that indicates that a get has been given and that each party can remarry. Where do I obtain a get? - Normally, you would go to a rabbis’s office but you can schedule to meet with the rabbis anywhere. How much time will it take to obtain a get? It takes about an hour to an hour and a half. How much does it cost to obtain a get? Obtaining a get costs around $500 if both parties are present together and the get can be delivered in one session. If there are additional sessions with the rest of the parties involved in the divorce, there might be an additional charge of about $150. How would a lawyer help me? The lawyer would make the process easier by arranging the time and place that is convenient for all parties involved as well as provide the parties with a clearer understanding of the process. When should I obtain a get? The parties can obtain a get once they have separated (do not live together anymore). Normally, the parties will begin the process once they have settled issues such as property ownership and who will have custody of the children, if any. If I obtain a Jewish divorce, is a civil divorce still necessary? A civil divorce is necessary to end a civil marriage. However, many rabbis do not recognize a civil divorce as sufficient. Do I need to be religious to have to obtain a get? Once I have agreed to obtain a get, do I need continue seeing my ex-spouse? No, especially if you have an attorney that can effect the process. The husband would appoint a rabbis who would present the get to the wife. What Can I Do to Speed Up the Divorce Process? What If I File for Divorce but then we Reconcile? Should I File Joint Taxes if I’ve Separated from my Spouse? Copyright © 2019 FK Law Group, PC All Rights Reserved. Contested Divorce, Uncontested Divorce, Marriage Annulment, and Jewish Divorce. Our practice serves Forest Hills, Queens NY and the surrounding areas.